If you want to get a thorough and organic view of Dubai, it is recommended that travelers get a Nol Card from the Roads & Transportation Authority (RTA). 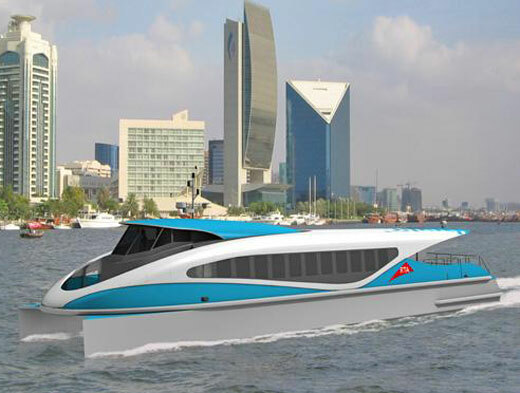 The Nol Card is convenient, re-loadable card that allows travelers to ride the Metro rail, buses, taxis, water buses, and the Dubai Tram (Dubai Ferry not included). You can purchase one at the airport upon arrival. As a bonus, the Nol card can also be used to gain access to Dubai Public Parks and Etihad Museum. GET 50% OFF EVERYTHING PLUS FREE SHIPPING FOR ALL ORDERS OVER $59! There are three different types of passes available to visitors: the Gold Card, the Silver Card, and the Red Ticket. The Gold Card and Silver Card are similar. They can be used on all modes of transportation, automatically calculating the cost of your trip and deducting from the balance on your card. The sole difference between the two is that riders can enjoy the Gold Class section of both the Metro and the Dubai tram for an additional cost. Both cards can be re-loaded at Metro ticket offices, ticket vending machines, or RTA Customer Service Centres, and are valid for five years. Note: Gold Cards can only be purchased at Metro Ticket offices. Silver Nol cards can be purchased at any Metro or Bus station at either the ticket office or ticket vending machines; authorized sales agents, or kiosks at some bus shelters. Learn more at www.nol.ae. Red Tickets: These are paper-based tickets that can be used on RTA buses, the metro and Dubai tram only. Not valid on seasonal buses or intercity buses. Passes can be loaded with up to ten trips or five daily passes, and are valid for 90 days or ten trips, whichever comes first. Note: Red tickets can only be purchased at Metro ticket offices and ticket vending machines. This high-tech city runs a clean, safe and efficient driver-less Metro rail rapid transit system. There are two lines, red and green. 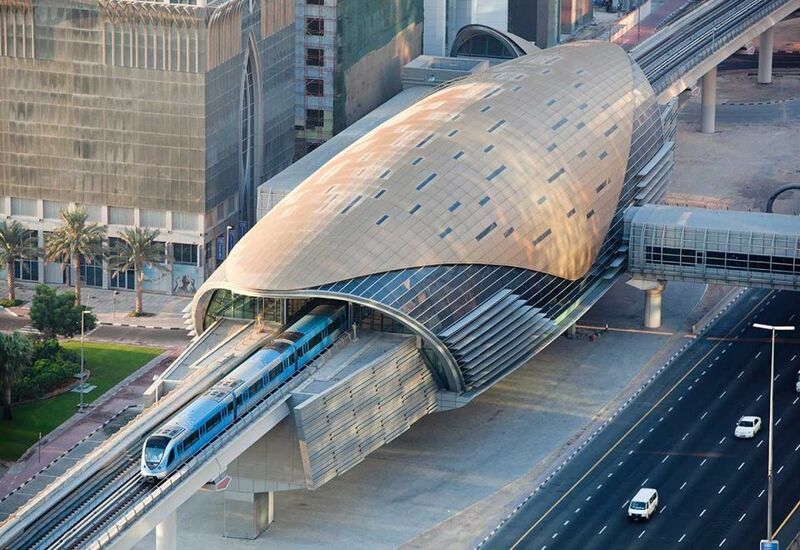 These fully automated trains offer stops at retail outlets (like the Dubai Mall) and have wi-fi connectivity. The trains are pristine, as eating and drinking are not allowed on board. Note that all rail systems in Dubai offer wheelchair and lift access, general cabins, and exclusive-use cabins for women and children. The Dubai Tram, also fully automated, travels in a loop, linking the Dubai Metro and the privately-owned Palm Monorail. It runs along Al Sufouh Road and Jumeirah Beach Road. It is one of the safest modes of transportation in the world. With fully equipped wi-fi throughout, private cabins are available exclusively for use by Gold Class ticket/card holders. These cabins have comfortable, wide leather seats and offer breath-taking panoramic views. Whenever I travel, buses are among my favourite mode of transportation, because at the very least, a day pass on the bus yields an inexpensive tour of the entire city. 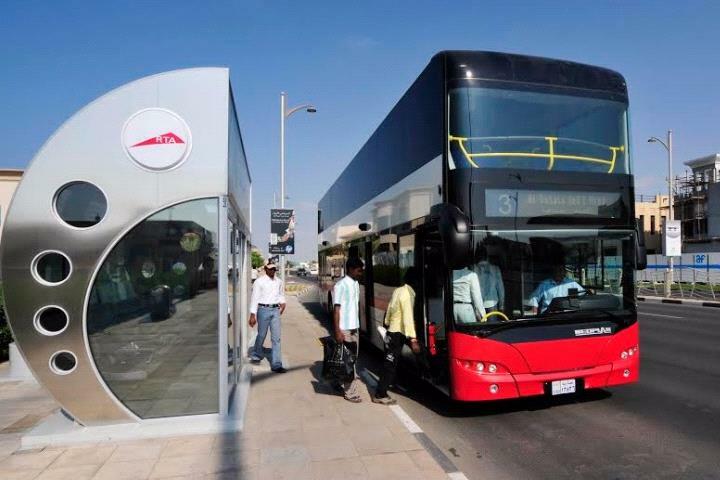 The bus system in Dubai is incredibly efficient, and very impressive. Buses typically run every 15-20 minutes, and connect with most all Metro stations, major landmarks and hot spots, like Dubai Mall and Jumeirah Beach. The bus stops throughout the city have state-of-the-art enclosed, air-conditioned bus shelters with sliding glass doors and comfortable seating. Inside, travelers will find electronic boards that tell riders exactly what time the next bus will arrive. Note: You can only pay to ride with a Nol Card. Cash is not accepted on buses. 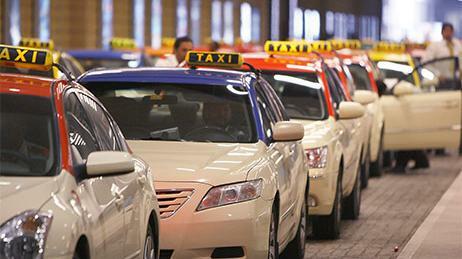 Taxis in Dubai are less expensive than most major cities, and are plentiful. They are metered and strictly regulated by the RTA. When opting to take taxis, don't be afraid to do research. Prior to riding, ask the employees at your concierge or transportation/tours desk what the approximate cost should be before riding to various destinations (bearing in mind that time of day and traffic congestion are factors to consider). Then ask the driver. If you don't feel comfortable with the number given, opt to take a different taxi. Female passengers can also request a special Pink Roof Taxi, driven by (and exclusively for) ladies. Note: Be advised, taxis accept credit cards, but are unable to process debit cards, so make certain to have some cash on hand if you didn't get a Nol Card. DTC Limousine Service - a division of Dubai Taxi, also offers luxury chauffeur-driven limousine service to meet the needs of visitors, business professionals, tourism industry clients, tour operators, airlines, and Corporate and Government clients. 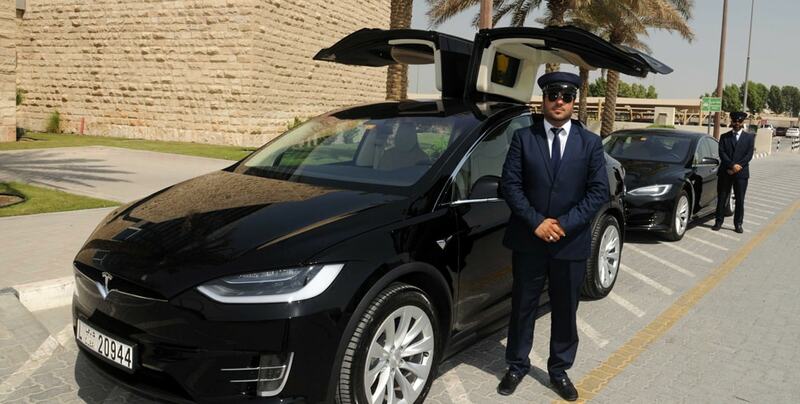 This service is available 24/7 for travel from Dubai to other Emirates. Click here to learn more. The abra is Dubai's most traditional (and least expensive) mode of public transport. 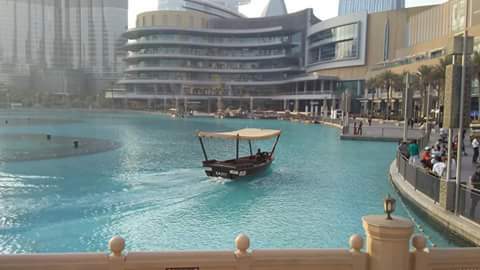 These water taxis can be found in Old Dubai, outside the Dubai Mall and the Arabian Gulf. With service operating from four stations, abras are small wooden boats that ferry guests from one side of Dubai creek to the other. The boats run literally every few minutes throughout the day and seat up to 20 guests. A ride on a public abra costs only one dirham (roughly 27 cents American). Once a boat is full and ready to go, the boat captain will collect payment from each rider. A ride on an abra takes between five and seven minutes. GET 50% OFF EVERYTHING PLUS FREE SHIPPING ON ALL ORDERS OVER $59! Guests also have the option to hire a private abra for 60Dhs (roughly $16 American) for a 30-minute sight-seeing excursion along Dubai creek. Once completed, your captain will end the tour at the station of your choice. 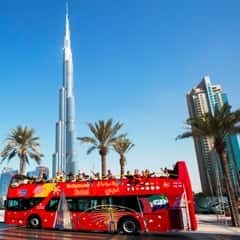 Tour old and modern Dubai in an open-top double-decker bus. Running continuously throughout the day, visitors can purchase one day or multi-day passes on multiple routes and see the city at their own pace. You'll know where you are and what you're seeing at all times with on-board audio commentary available in more than a dozen languages. 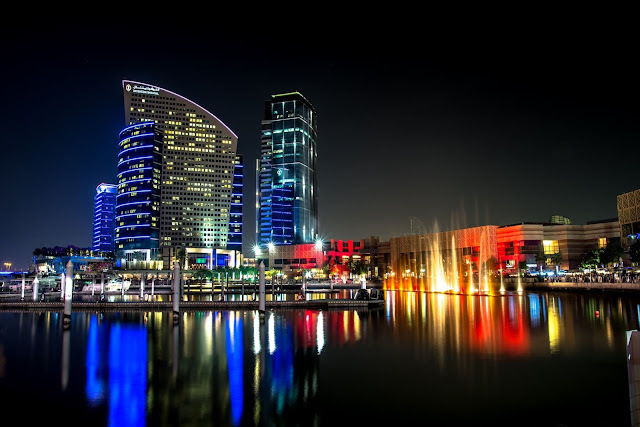 Hop-on/hop-off service allows you to stop and enjoy Dubai's landmarks, attractions and shopping before re-boarding to continue your tour or head back to your original point of origin. The tour buses are equipped with free on-board wifi and bottled water. Free extras like 60-minute Dhow cruises and tickets to Dubai Museum are also typically included. Check with your hotel concierge to learn more. The Dubai Ferry allows for a beautiful view of Dubai from the sea. 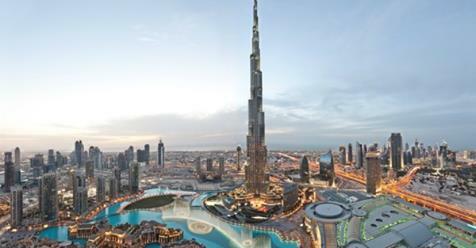 You'll get a magnificent view of the Burj Al Arab - the world's tallest free-standing building in water, and the world-famous Palm Jumeira, the location of the luxurious, seven-star Atlantis hotel. Enjoy stunning views of both ancient and modern landmarks of Dubai. Gold and Silver class tickets are available on the Dubai Ferry, so guests can choose their level of comfort. Snack bars are also available on board. Ferries are wheelchair accessible, and are available for private hire on an hourly basis. Rides vary from one hour to one hour and 40 minutes. Click here to learn more and get pricing. Uber does operate in Dubai, but not like in most cities. Here, Uber is more like a premium car service, with vehicles all the equivalent of the UberBlack or UberSelect. Bear in mind that prices are not necessarily lower than taxis. Unless you frequently visit Dubai on business and are quite familiar with the roads and city, it is not recommended that you rent a car due to traffic congestion. Public transport is convenient, safe and plentiful in the city, and there are multiple cost-effective options. Was this information helpful? Please click on the feedback and SHARE buttons below.